The 2019 Sundance Film Festival, running January 24 – February 3, received a record number of submissions this year, including 4,018 feature-length films which they winnowed down to 112. Some 40% of those 112 features were directed by women. The 2019 Sundance competition slate is more than 50% female. Nine of the 17 directors vying for top honors are women. In comparison, last year the Cannes Film Festival invited only three women directors into their competition, while the Venice Film Festival made room for just one female director. Legendary director Costa-Gavros is the recipient of the Lifetime Achievement honor at this year’s European Film Awards on December 15 in Seville, Spain. 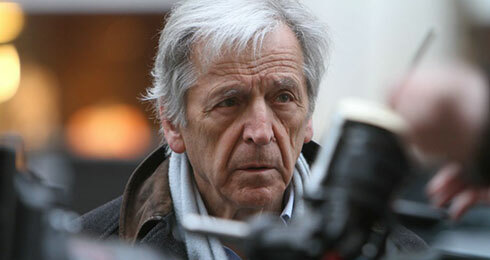 The Greek director is best known for his political thrillers which include State of Siege, Music Box and Betrayed. His films Z and Missing received multiple Academy Award nominations, and both won two Oscars. Costa-Gavros is only the fifth person to receive this honor. AFM Finance Conference Presents "Producing Studio Films with Independent Budgets"
The theatrical distribution model of independent films has been radically transformed by major changes in the industry. The flow of funds from China has run out due to the Chinese government cracking down on Chinese companies making large foreign investment in U.S. films. Mid-level movies that were once made regularly by studios have been mostly abandoned in favor of tentpole films, super-heroes and animated extravaganzas. Most importantly, the industry has been shaken up by the direct-to-consumer video model introduced by Netflix, and employed by Amazon, Hulu, Apple, Facebook, Google and others. Of all the streaming media companies, Netflix is the clear leader, with over 130 million global subscribers (50% of whom are outside the U.S.). No one is spending close to what Netflix does for content. An estimated $12 billion was spent on content in 2018, creating 700 new TV shows and 80 movies. 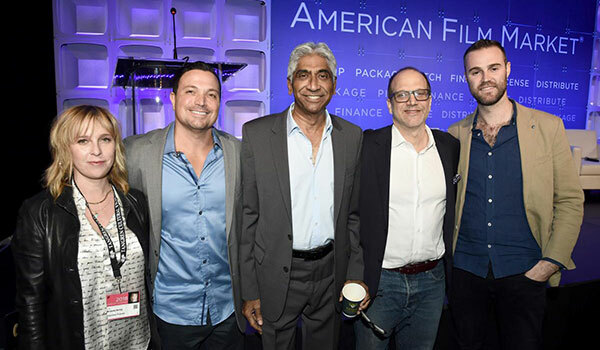 The 2018 American Film Market held its annual Film Finance Conference in November. Among the seminars was "Producing Studio Films with Independent Budgets," a panel discussion in which four successful independents addressed the question: Where does all this leave today's independent producer? The panelists included: Ashok Amritraj, Chairman and CEO of Hyde Park Entertainment (Ghost Rider, Walking Tall); Miranda Bailey, CEO of Cold Iron Pictures (The Diary of a Teenage Girl, Norman); Jeffrey Greenstein, President of Millennium Media (The Hitman's Bodyguard, London Has Fallen); and Gary Michael Walters, CEO of Bold Films (Nightcrawler, Whiplash, Collette). The panel was moderated by Richard Botto, the founder and CEO of Stage 32 (stage32.com) who authored Crowdsourcing for Filmmakers. Streaming giants Netflix and Amazon offer an alternative to independent theatrical distribution. But many independent filmmakers are reluctant to go this route, preferring the prestige of having their film presented to the world in movie theaters, rather than on TVs, laptops and cell phones. Ashok Amritrag assured the audience, "It's really not a bad thing to sell to Netflix and live to fight another day" in the indie world. But when your film becomes a Netflix film, "they want all the rights, not just specific territories." Gary Michael Walters warned, "Unless you approach Netflix fully packaged with director and cast they will not respond." With the streaming giants creating so much new content, and therefore so many viewing choices, an indie film needs something special about it. This year AFM buyers seemed uninterested in buying more of the same. Most expressed interest only in buying films that are unique. To this point, Miranda Bailey advised, "If you can already see your movie on TV, don't make it. If you're making a specialty film, make it special." She cited one of their films, Diary of a Teenage Girl, as an example, saying it stood out from tv films because of its "dangerous subject." Amritraz added, "Buyers are very specific about what they're buying, so you need to be very specific about what you're selling." How can independent filmmakers improve their chances of making and theatrically distributing independent films? Moderator Richard Botto suggested, "Go to foreign sales agents and get yourself educated." Walters identified the main weakness he sees in producers who come to him is "the lack of work done" by the producer ahead of time, and, in particular, "they fail to do the work on the budget." Bailey agreed, saying, "Get a proper below-the-line producer to get a proper budget." Amritrag said, "Producers fail miserably by proposing budgets they don't understand. Do your homework, because I'll poke holes into it and I'll want you to go away. Give us the confidence to work with you." And once you have a real budget, you need to figure out every way possible to get that budget down. Walters said, "Someone needs to grab the bull by the horns and wrestle that budget into the pocket......The cheapest way to cut your budget is to cut your script length. Get it under 110 pages – 105 is nice, but 100 is even better. Just focus on what the movie is about. Spend more time with relationships, less with car chases. There is no room for inefficiency these days." He said he once received a script that came in at 163 pages. After being told to cut it down, the writer re-submitted the exact same script, only in a smaller font. Jeffrey Greenstein said, "The key to keeping the budget in line is to fix things in the script stage when you can foresee what might need to be changed" to keep in line with the budget. Bailey said writers should keep costs in mind while writing the first draft. "Do you really need one hundred extras?" Tax credits present one way of cutting the budget. Greenstein spoke about how much the UK tax credits helped with their films, including London Has Fallen. "I've done twenty films in the UK because it's been so lucrative." Making a high-quality film on an independent budget often requires getting people to work for less. Walters said DPs and department heads often take less money for indie films. "Calling in favors makes or breaks a movie. Only reason they will do it is if they love the project." But, he said, some costs are hard to control. "Unfortunately, the music industry has not adjusted [for lower budget films]. They charge the same for a $2 million movie as a $100 million movie. Most music publishing is controlled by conglomerates and they don't care." The director often plays a key role in getting an indie film made. When it comes to getting top actors to agree to work for less than their quote, the director can make all the difference. Bailey said, "The director is a lot more important these days than getting a movie star. If you have a good enough director you can get actors to work Schedule F, which is their version of scale." Moderator Botto asked the panel how Netflix has changed the game regarding competing for actors to be in your film, since Netflix pays talent so much. He gave the example, "Reese [Witherspoon] has taken herself off the market." How can an indie producer compete with the offers made for talent? Amritraj said, "Attracting talent is harder than ever. There is really good stuff being made for Netflix and Amazon. So just try to get in the room with [the actors] and explain why they should do it. The material and the director are the only way." Walters agreed. "You want a director who recruits, who has the ability to sell that vision. Unless you can afford to just pay the actor's quote, it's hard to get their agent's attention." Bailey has had success with going outside the box. "Find talent that hasn't done that kind of film before. I like working with comedians, for example." Amritraj said, "Begging always helps. Kind of warms the room. That's one way to go." He also suggests if the money is not available, find something of value to barter. A former professional tennis player, Amritraj has bartered private tennis lessons with people in the industry. The panelists gave some final advice to the filmmakers in the audience. Jeffrey Greenstein: "I hate to say it, but timing and luck play a role. Relationships are important. Be known for your diligence. It's a game of last man or woman standing. You need to be here fighting and people will eventually see that." Amritraj: "Develop relationships with directors." Miranda Bailey: "Be genuine. People can sniff it out when you're not." Gary Michael Walters: "Honor your word." 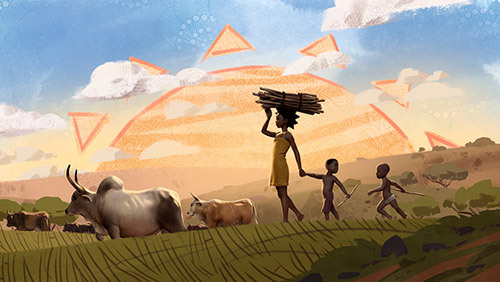 Five orphaned children from Swaziland, working under the guidance of acclaimed South African storyteller Gcina Mhlophe, collaborated to create the story behind Liyana, a genre-defying film – part animation, part documentary – that has gone on to win 28 Jury and Audience awards on the festival circuit. Directed by Aaron Kopp & Amanda Kopp, Liyana features an original score by South African composer Philip Miller and animation by Nigerian artist Shofela Coker. The film has been described as "a tribute to creativity, the strength of the human spirit and the power of storytelling."